Knitted Interfacing for use on JERSEY & STRETCH fabrics. Iron on glue is on reverse side only - it is not suitable for attaching one fabric to another. Machine Washable. On Trend fabrics specialise in fashion fabrics and trims for dressmaking. You will get one continuous piece as material is cut directly from the roll. Fine Polyester. Beautiful Smooth Drapey L/Weight. Ideal fashion fabric. Spotted Print in Stunning Black and White Colours. In Stunning Multi Colour. You will get one continuous piece as material is cut directly from the roll. Ideal fashion fabric. Beautiful Smooth Drapey L/Weight. Ø DRESSES / PARTY WEAR. Abstract-African Print. African Print in Stunning. 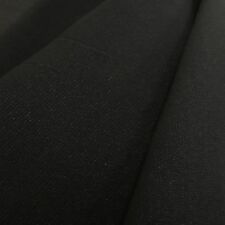 100% L/Weight Smooth Polyester. You will get one continuous piece as material is cut directly from the roll. Ideal fashion fabric. Ø DRESSES / PARTY WEAR. Multicolour-Orange Base. Orange Grey Fox cotton fabric width 160 cm / 63"
Gabardine Fabric was created in 1879 and was used during the first world war to create officer's trench coats. Full width 300cm (yes that is right, double the width of regular net). Light tulle suitable for rusching in bridal and eveningwear or as a light petticoat. Sugar Pink shade, can also be described as blush peach. Spotted Print in Stunning. You will get one continuous piece as material is cut directly from the roll. Fine Polyester. Beautiful Smooth Drapey L/Weight. Ideal fashion fabric. Excellent material for various uses. Ditsy Floral Print in Stunning. Beautiful Smooth Drapey Soft Touch. You will get one continuous piece as material is cut directly from the roll. 100% Polyester Fabric. Ideal fashion fabric. Excellent material for various uses. Colour: WhiteMaterial: Stretch CottonWidth: 60"
You will get one continuous piece as material is cut directly from the roll. Fine Polyester. Beautiful Smooth Drapey L/Weight. Ø SCHOOL & COLLEGE COURSES. Ideal fashion fabric. Spotted Print in Stunning. Beautiful quality and weight stretch jersey. Gorgeous red print - very striking.